As BIM adoption spreads throughout the construction industry, we announced the availability of 28 BIM Objects selected from some of our most widely used products. 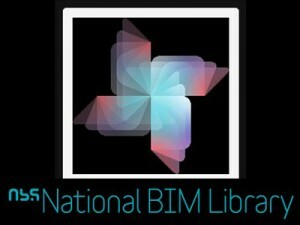 These have been produced in association with the NBS and are available for free download from the National BIM Library. 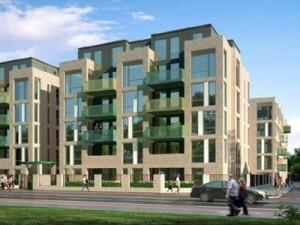 This post introduced the subject of BIM too. Read it here. 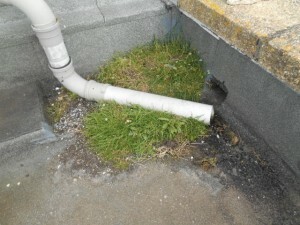 We are routinely called in to provide surveys of failing flat roofs, and in this post Technical Manager Steve Cleminson told one particular horror story, complete with photographs! Steve also set out three key things to consider so that your next flat roof doesn’t become another horror story. See the photos and read his advice here. 3. 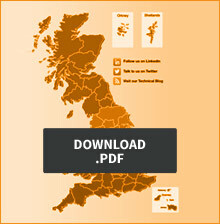 Falls in Concrete Roofs – Is Tapered Insulation Cheaper than Screed? Another great post by Steve comparing three alternative approaches to creating falls in concrete roofs. 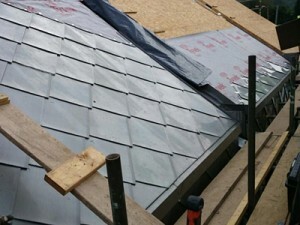 ‘Cut to Falls’ can sometimes be the most expensive element of the roof, so if you can save money here you can use it on a more interesting part of the building! Steve also tells the story of how a innovative approach to looking at falls has led to us helping our clients save on the use of screed altogether, with all the benefits that entails. Read his advice here. We thought this post would be the most popular of this year’s blog posts – after all it relates to one of the most popular construction TV programmes; Grand Designs. The Amphibious House was a great episode, with many viewers commenting that the clients of this floating house on the Thames were mad, though others thought they should be admired for investing in finding a solution for housing on our rising water tables. 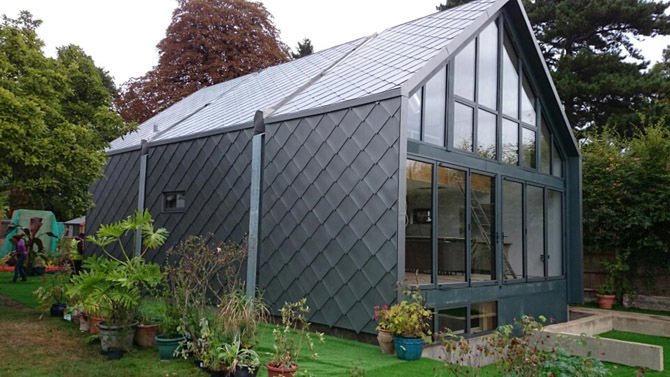 Sister company SIG Zinc and Copper provided the zinc for the beautiful ‘fish scale like’ shingles which clad the roof and walls of the house, so we wrote a blog post about what they were and how they were applied. Read it here. As an aside, we’re delighted that BACA Architects, who designed the Amphibious House, have gone on to win a Gold Award in the London Design Awards shortly afterwards. Read about the award here. For the second year running, our winning post is a Zinc one! 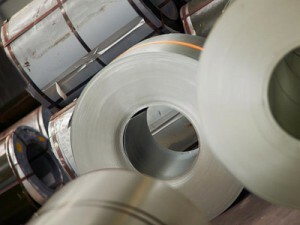 This post investigates why Zinc roofing and cladding can be so expensive, especially on smaller or medium sized projects, and how at the beginning of this year we set up a facility to fabricate Zinc roofing and cladding elements in the UK, including how our service helps you reduce waste as well as save money. The blog post also features the video of our new decoiler machine based at Steadmans up in Cumbria, and includes links to further information, downloads and sample request form. Read it here. So that’s our top ten most popular post this year. Were they what you expected? Was there a post you found useful which didn’t make the top ten? Or have we not written that post you’d like to read yet? We’d love to hear from you, and hope to include your suggestions in our plan for 2015 which already includes yet more new product choices, and many more useful and technical posts. Subscribe to the blog so you don’t miss any. It only remains for us to wish you a Merry Christmas and a Happy New Year. See you in 2015. Combining the most popular blog posts is helpful to see what people need to know more about. I am not surprised that one of the most read blog posts is about flat roof leaks – it is good to know how to reduce the maintenance of your flat roof to be cost efficient.